Today is the second day of 2017. We're still in euphoria celebrating New Year and working toward our resolutions. I hope you're going to do really well with your resolutions (whatever they are). I spent my new year's eve by getting a phone call from a friend. We were talking for hours. By the clock striking 00.00 AM he said, "Happy New Year!" I smiled. I remember vividly what happened during last new year. A different person texted "Happy New Year" to me with the rest of messages that I still clearly remember what he wished for. But, that's in the past. That was one year ago. Many things can happen in one year. Who would have thought? Speaking of 2016 I read some blogs wrote that last year was depressing while others wrote 2016 gave them many wonderful things to be grateful. Here I don't want to talk about how I felt about 2016, hence, I don't really want to think about that. Here I want to write about impression. Every thing can give us impression, including 2016 that we just spent. Human, obviously, gives us impression, too. We, as a human, are a social animal. We will interact with other people. We will socialize with them. One of the things that we don't know is how other people will perceive us. What impressions that we just make? Do we make a good impression or a bad one? How they feel about us? Do they like us? Or hate us? Are they happy or irritated when we're around them? When we make mistakes will they forgive us? And, in the years to come, when life keeps us busy and distances us with other people, how are they going to remember us? 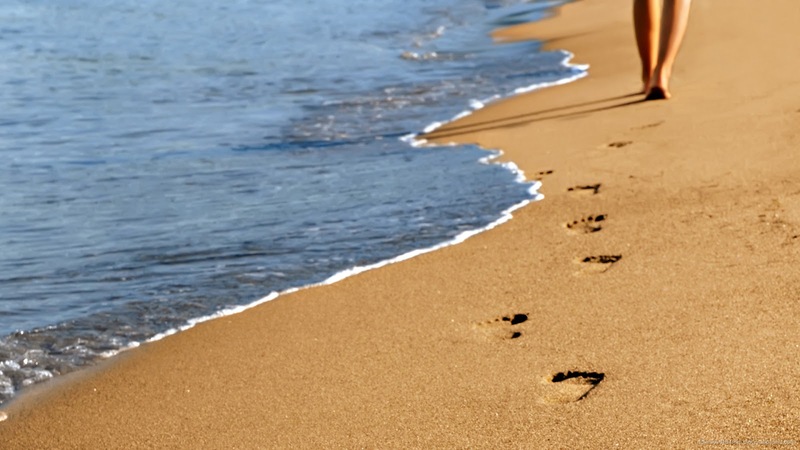 We are going to leave footprints in other people's life. 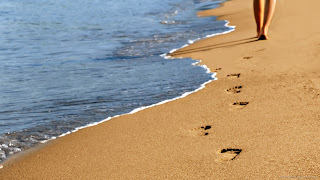 So, my mission is I'm planning to leave nice footprints in others' life. It's difficult, I know. But, hey, I've got nothing to lose and I'm willing to try. Hmm misi yg menarik, dan hal2 sesulit apapun adalah selalu punya kemungkinan utk diwujudkan, dan amin! Amin! Semoga bisa dipraktekkan terus. Misi yang mulia. 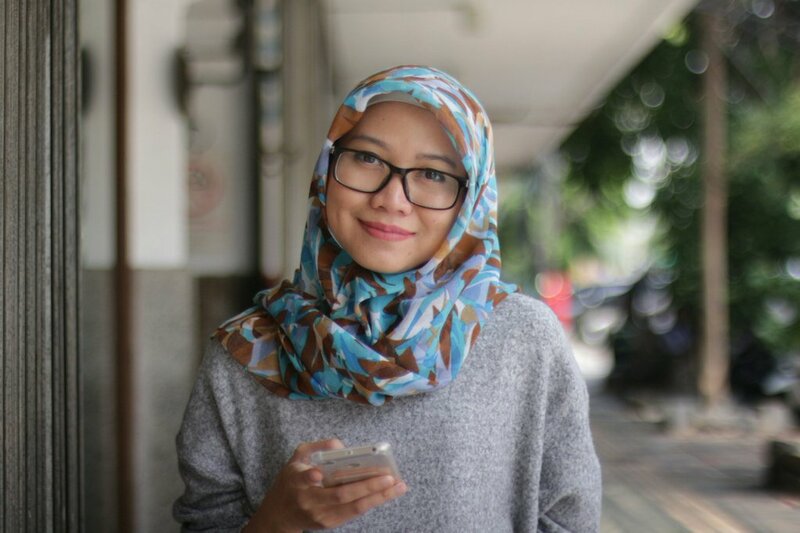 Jadi ingat kata-kata seorang kakak tingkat yang sekarang sudah menjadi motivator (lumayan) sukses. Dia pernah bilang, "Kalau kamu mau menjadi manusia yang lebih baik, mulailah pikiranmu dari suasana pemakamanmu. Berapa banyak orang yang akan kehilangan atau malah bahagia atas kepergianmu?" Nah, ini. Sejak Papaku meninggal aku sering banget mikir kayak begini. Aku melihat betapa banyak orang melayat ke rumah dan menangisi kepergian papaku. Dari situ aku sadar bahwa kalau orang baik meninggal akan banyak yang kehilangan. Aku ingin meniru papaku yang semasa hidupnya adalah orang baik.